Different format than usual this week, going to recap news and results from the last two weeks as well as share cards from upcoming events. Multiple title changes occured in DDT over the last two weeks, as well as the cancellation of TV show ‘Maji Manji’ by Abema TV. 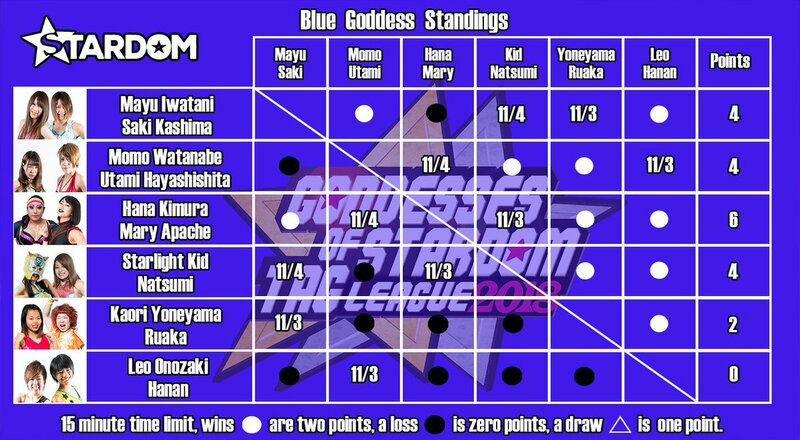 Stardom have had a couple of defences as well as the ongoing Tag League. A new champion was also crowned in All Japan, Sendai Girls had their big show in Sendai and Junior Tag League has been ongoing in New Japan. ~Daga has joined R.E.D and is about to make his Japan debut in November. ~ Card for Osaka is; Ryo Saito, Don Fuji & Gamma vs Punch Tominaga, Brother YASSHI & Hyo Watanabe. KAGETORA, Yosuke Santa Maria, U-T & Kota Minoura vs Eita, Daga, Yasushi Kanda & KAZMA Sakamoto. Open the Triangle Gate Match: Kzy, Genki Horiguchi & Susumu Yokosuka (c) vs Kaito Ishida, Jason Lee & Naruki Doi vs Masaaki Mochizuki, Shun Skywalker & Yuki Yoshioka. International Special Singles Match: PAC vs Flamita. Open the Brave Gate Match: Dragon Kid (c) vs Bandido. Open the Twin Gate Match: YAMATO & BxB Hulk (c) vs Takashi Yoshida & Big R Shimizu. Open the Dream Gate Match: Masato Yoshino (c) vs Ben-K.
vs Ryo Saito, Don Fuji, Gamma, K-ness & Kaito Ishida. Masaaki Mochizuki vs Kota Minoura. KAGETORA, Yosuke Santa Maria & UT vs Shun Skywalker, Hyo Watanabe & Yuki Yoshioka. Dragon Dia Debut Match: Dragon Dia & Dragon Kid vs Eita & Yasushi Kanda. KAI, Bandido & Hiroshi Yamato vs Takashi Yoshida, KAZMA Sakamoto & Daga. Special 4 Way 6 Man Tag Battle: Kzy, Genki Horiguchi & Susumu Yokosuka vs Masato Yoshino, Naruki Doi & Jason Lee vs PAC, Big R Shimizu & Ben-K vs YAMATO, BxB Hulk & Flamita. ~ DDT held Peter Pan at Ryogoku last week, CIMA & Strong Hearts clean sweeped Takeshita & All Out, Meiko Satomura & Cassandra Miyagi were victorious against Maki Ito & Saki Akai, Shigehiro Irie & Keisuke Ishii beat HARASHIMA & Yukio Sakaguchi in an emotional farewell for Irie. Daisuke Sasaki beat Danshoku Dieno for the KO-D Openweight Championship in the main event, there was a crowd of 6,529. ~ DDT held the last DDT Live! Maji Manji in a special at Korakuen Hall today. Despite reports that it was cancelled due to Dieno’s actions at Ryogoku, DDT Fan Site in English has said DDT Live! 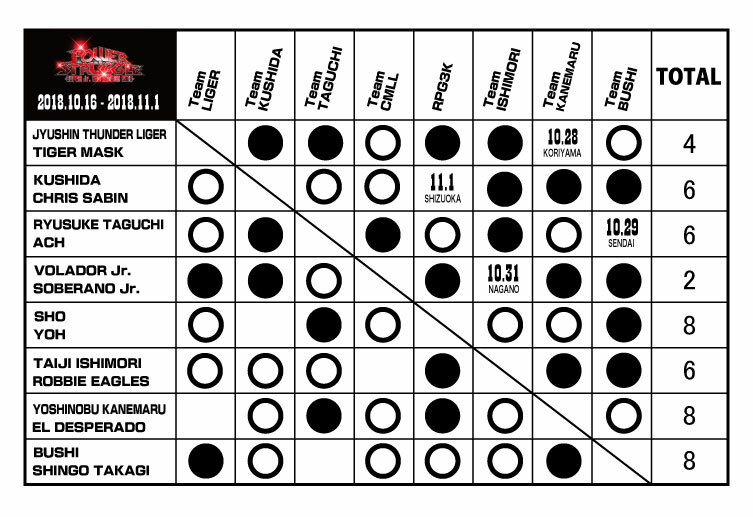 Maji Manji Super will take its place starting next year on January 3rd and will be monthly. 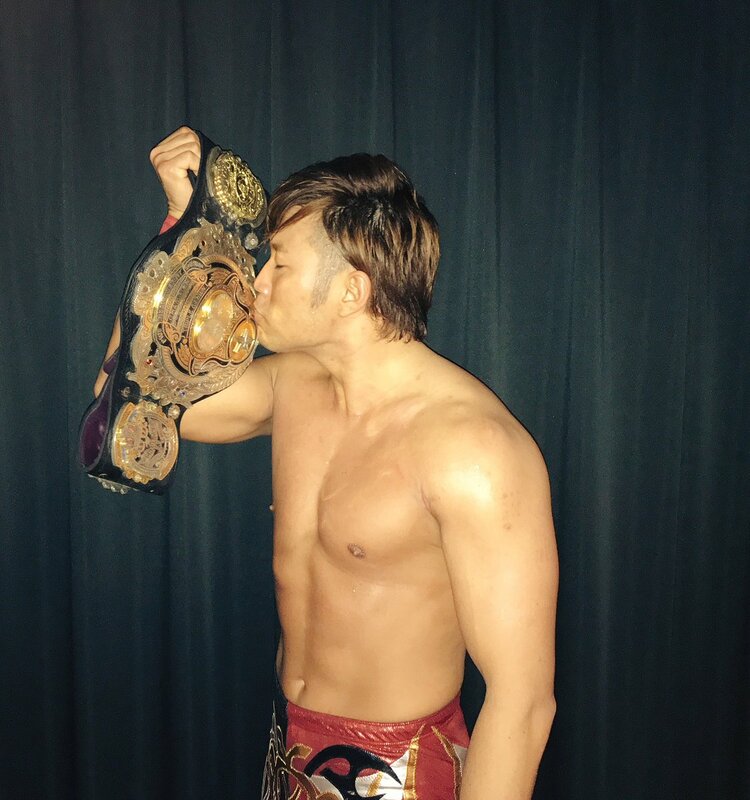 Multiple title changes occurred today so spoilers in 3….2….1….. DDT Ironman Heavymetalweight Championship was won by Maki Ito finally a Battle Royal. Strong Hearts trio of CIMA, T-Hawk & Duan Yingnan beat DAMNATION trio of Soma Takao, Endo & Paulie to become the new the KO-D 6 Man Champions. Shinya Aoki defeated HARASHIMA to become the new DDT Extreme Champion. A dream match of sorts for me took place as Noah’s Genius, Naomichi Marufuji teamed with the Ace of DDT, Konosuke Takeshita to face off against the DAMNATION duo of Daisuke Sasaki & Shuji Ishikawa. ~ Kento Miyahara is once again Triple Crown Heavyweight Champion, beating Zeus on the 21.10 in Yokohama. ~ Ryota Hama & Yasufumi Nakanoue won Saikyou Tag League beating Okami (Daichi Hashimoto & Hideyoshi Kamitani in the final. They also won the vacant BJW Tag titles following Isami Kodaka’s injury. ~ The card has been announced for 11.11 at Ryogoku; The Young BJ: Masaki Morihiro & Akira Hyodo vs Takuho Kato & Yuki Ishikawa. Astronauts vs. 666: Takuya Nomura & Fuminori vs Shinobu & Kouju Takeda. The Strong BJ: Daichi Hashimoto & Hideyoshi Kamitani vs Yoshihisa Utoh & Kazumi Kikuta. Special Eight Man Tag Match: Great Kojika, Shiro Koshinaka, Brahman Shu & Brahman Kei vs Tsutomu Oosugi, Hercules Senga, Tatsuhiko Yoshino & Kota Sekifuda. Death Match: Yuko Miyamoto, Takumi Tsukamoto & Kyu Mogami vs Minoru Fujita, Kankuro Hoshino & Ryuichi Sekine. 2008 Debut 10 Year Showdown – Yuji Okabayashi Return Match: Yuji Okabayashi vs Ryuichi Kawakami. BJW Tag Team Title: Ryota Hama & Yasufumi Nakanoue (c) vs Takayuki Ueki & Toshiyuki Sakuda. BJW Jr. Heavyweight Title, Table Crash Match: Kazuki Hashimoto (c) vs Yuya Aoki. Resurrection 045 Evil Monkey’s – Death Match: Jun Kasai & “Black Angel” Jaki Numazawa vs Abdullah Kobayashi & Ryuji Ito. BJW World Strong Heavyweight Title: Hideki Suzuki (c) vs Daisuke Sekimoto. BJW Death Match Heavyweight Title Death Match: Masashi Takeda (c) vs Masaya Takahashi. ~ Ayame Sasamura beat MANAMI to win the newly debuted title Sendai Girls Junior Title at Sendai Girls Joshi Puroresu Big Show in Sendai on the 14.10. 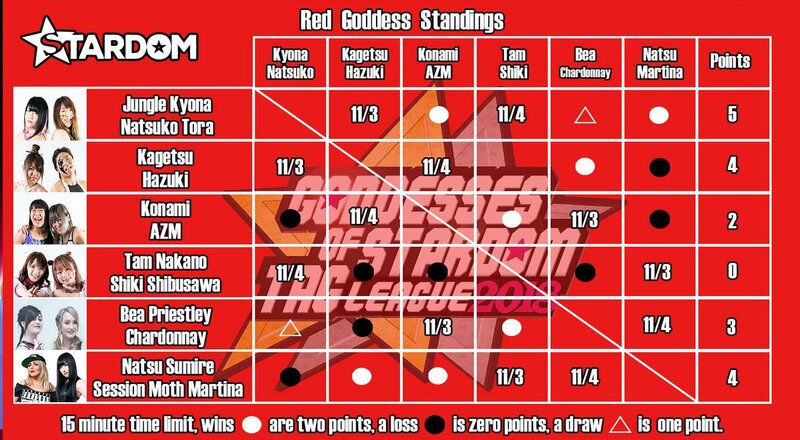 Aja Kong tagged with Meiko Satomura to beat Hana Kimura and Mika Iwata, while BritWres female stars Mille McKenzie and Rhia O’Reilly teamed in a losing effort against DASH Chisako & Hiroyo Matsumoto. Cassandra Miyagi was defeated in the main event as Chihiro Hashimoto retained the Sendai Girls World Title. Results & Schedules compiled using various websites including purolove.com, cagematch.com, dramaticddt.wordpress.com and official websites. Rising costs are causing implications in regards to hosting the site/podcasts and so forth, and are hitting hard, there is no advertising on the site and as such doesn’t make money from that revenue, if you feel like making a donation or helping out, please contact Stu via The Indy Corner twitter page.